Former Tánaiste and Labour TD Joan Burton has told a court that being trapped in garda vehicles during water charge protests in Jobstown in Tallaght in November 2014 was a very difficult and unpleasant situation. Ms Burton told the Children's Court she was very apprehensive as she sat in a car while protesters banged on it and shouted abuse at her. She said she was apprehensive about what would happen to her if the crowd got the doors of the car open and that she was looking around to see where she and her adviser could run to. Ms Burton gave evidence at the trial of a 17-year-old boy who is charged with the false imprisonment of Ms Burton and her adviser, Karen O'Connell, as the women tried to leave a function on the Fortunestown Road. Ms Burton said she had received a warm welcome when she first arrived at An Cosán in Jobstown for a graduation ceremony for a number of people. She said as they walked from the centre to an adjacent church, she was hit twice on the neck by some kind of water balloon and a young man was holding a camera in front of her face and saying "talk to us, Joan". Ms Burton told the court she was anxious to continue her duties, especially for the people who were graduating. She said that in the church, after giving her speech, she was advised to "make haste" to a garda car, which was going to drive her and her adviser away. She said in the car, Ms O'Connell was a little upset. There were a number of people shouting and banging on the car, she added. Ms Burton said there were a large number of children around and she was aware of a couple of men dressed in darkish clothing. She said she was trying to keep her composure and was worried about the children. The protesters were shouting a lot of vulgar abuse and using all the derogatory terms people use for women, she added. Ms Burton said she was very anxious. She was worried about the children and also worried that the graduation ceremony had been disrupted and she said she thought that was "just mean". She said there was an air of extreme hostility. After some time, she and her adviser were moved to another car by gardaí, and that several gardaí surrounded them while crowd was pushing in on them and were very wild. Ms Burton said she felt herself almost fall and almost lost one of her shoes and the crowd were surging very tightly and were very aggressive. She said she and her adviser then got into a garda Jeep, which was trying to move off. Plastic bottles were thrown at the vehicle and Ms Burton said it was a very difficult and unpleasant situation and that time passed very slowly. Eventually, she said, specialist gardaí arrived and told the women they would have to get out of the vehicle and move to two separate cars. Ms Burton said she got out of the vehicle and saw people coming towards them - she said she felt quite menaced by that and was not confident about how fast she could run but she did and flung herself into a garda vehicle, which raced off immediately. She said afterwards, she felt very happy that no children had been hurt and felt sorry for gardaí who took dogs' abuse and felt very happy to be safe and out of the car. Earlier, prosecuting counsel, Tony McGillicuddy said that as Ms Burton and Ms O'Connell left the event they were surrounded by a group of protesters protesting against the imposition of water charges. 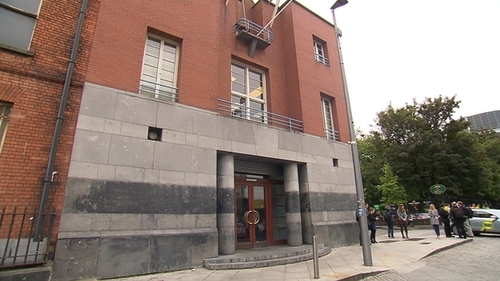 Mr McGillicuddy said the accused boy was using a mobile phone to photograph and video events. He said the accused boy was one of the people involved in detaining Ms Burton and Ms O'Connell without their consent in their car. There would be video footage showing the accused and his activities on 15 November 2014, he added. He said there would also be still photographs in which the accused boy had identified himself. He had also acknowledged to gardaí that he had taken part in the protest. Mr McGillicuddy told Judge John King that the prosecution case was that he would hear evidence after which he would be satisfied that the accused was guilty of false imprisonment by intentionally or recklessly restricting the personal liberty of Ms Burton and Ms O'Connell on 15 November 2014, by trapping them without their consent in two garda vehicles for two to three hours. Under cross-examination by defence counsel Giollaíosa Ó Lideadha Ms Burton denied that she was thinking about the political consequences of the incident. Ms Burton said there were no positive outcomes from an incident like this for someone in politics. Ms Burton said she was very concerned because she was sitting in a car she could not get out of, while a very aggressive demonstration was under way. She was concerned about the children who were around and what would happen if the protesters managed to get the car doors open. She said those things concentrated her thoughts. She said she was also thinking about the consequences for young people from the area, if an area developed a poor reputation it could be desperately damaging for people trying to get jobs. Mr Ó Lideadha played a piece of video footage in which Ms Burton and her adviser could be heard discussing an allegation that the Government had cut funding for breakfast clubs. Ms Burton is heard telling Ms O'Connell that she should go on social media and say there was no one minding the children who were around and they were free to roam the streets. Ms Burton said there was no political motivation to her comments - she just resented the idea that allegations were made that she had cut breakfast club funding when she had increased it. Mr Ó Lideadha attempted to put a number of questions to Ms Burton about the 2011 election and how Labour had originally said it would not allow water charges to be introduced. He said his client would say that he went to the protest to confront Ms Burton about a betrayal of trust and betrayal of less well-off people and wished to peacefully protest. He asked Ms Burton if she was aware the protest was about this. Ms Burton said all she could hear was very bad language and while people were free to protest, there were features of this one which were very difficult for her and her adviser. In her evidence, Ms Burton's adviser said the protesters began using abusive language as they made their way from An Cosán to the nearby church. Ms O'Connell said bottles were thrown, she was hit by an egg and felt a punch in her lower back. She said after they got into a car outside the church she was very frightened. People were surrounding the car and screaming profanities. She said they were not in a position to get out of the car and did not feel safe or feel that they could leave. When they were moved to a Jeep, she said it felt as if the protesters were trying to get at them. They were encircled by gardaí who were surrounded by protesters. She said she was very upset, she was hyperventilating and felt very distressed. She was shoved into the Jeep and gardaí had to stop someone grabbing her coat. She said she was incredibly distressed and Ms Burton had to try to calm her down. Someone smashed the front window of the vehicle, she said, and someone else said they hoped Ms Burton would die. They tried to move off very, very slowly. They were then told to run to another vehicle. They were brought to Garda Headquarters. They were very distressed and very upset for quite some time afterwards, she said. Under cross-examination Ms O'Connell said there were times where she was not upset - but she was in a state of shock and even though she may have been laughing at times, it was still a highly stressful situation.